Watch Saturday Morning Hangover every weekend on Dtoid TV! We had another passably entertaining time on Saturday Morning Hangover this week. 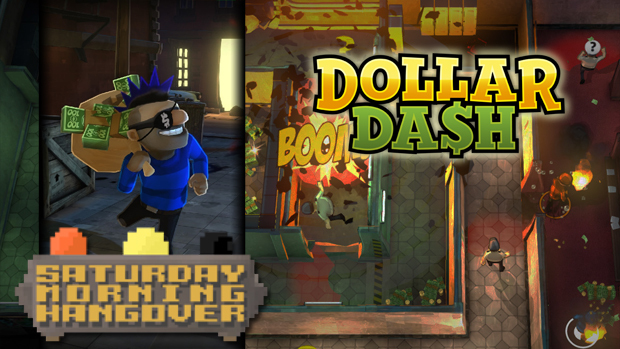 We checked out Dollar Dash, recently released on Xbox Live Arcade and wound up with some mixed opinions. I thought it was pretty fun, though the AI opponents are perhaps a bit too challenging. Jordan started to get a little tired of it by the end and Katrina... well, Katrina doesn't like anything she isn't immediately good at. You'll see how that goes. As ever, we also played the week's Xbox Live Indie Games demos. Battle High 2 was a pleasant surprise, a considerable improvement of our memories of the first fighting game to bear the name. Master of the Seven Teas is a cute, piratey adventure on a small scale which was charming, apart from some questionable control design. And Cootie Crusher was just strange enough to keep me playing three levels longer than we rightfully should have. All this, plus a trip to the Dafoeverse where the existence of Drowning Pool's "Bodies" is finally justified. It proves that God had a plan all along!